Who Gets Custody of Frozen Embryos After Divorce in New Jersey? Who Gets “Custody” of a Frozen Embryo in a New Jersey Divorce? The arena of fertility presents new and complex legal challenges in addition to changes to the traditional ideas of the American family. When partners choose to go through in vitro fertilization, typically there are additional frozen embryos created beyond those used for the immediate pregnancy. If the parties split up, what happens to the remaining embryos? What if one party wants to use the embryos to have another child, while the other party wants them destroyed? A new Arizona law effective July 2018, the first of its kind, specifically establishes that legal custody of a frozen embryo goes to whichever partner is most likely to use them to have a child. The law also establishes that the other partner has no legal rights or responsibilities to any resulting child, including no duty to pay child support. But what happens in other states without such a law, like New Jersey, if a couple creates an embryo and then chooses to divorce? Read on for an exploration of New Jersey’s embryo custody legal landscape, and contact a knowledgeable New Jersey child custody attorney with any questions. Partners who undergo in vitro fertilization can and should put together an agreement that establishes what will happen to any unused embryos if they split up or divorce. Couples can, for example, agree to have the embryos donated to infertile couples or to research or have them destroyed. New Jersey courts are willing to enforce these agreements, up to a point. The courts generally weigh the right of a person to procreate against the right of the other party to not become a parent involuntarily. New Jersey courts have taken several approaches to distribution of embryos, but they generally rule in favor of the right for a person not to become a parent against their wishes. New Jersey courts have recognized several approaches: (1) Absent a contract, giving preference to the party who does not wish parenthood; (2) enforcing a pre-existing agreement to either distribute the embryo to one of the parties or some other entity, or to dispose of the embryo; (3) refusing to enforce an agreement as violative of one party’s right to refuse parenthood; and (4) recognizing agreements to dispose of the embryos but allowing a party to change their mind up until the point of destruction or use of the embryo. The clearest answer from the New Jersey Supreme Court comes from a 2001 opinion, J.B. v. M.B. and C.C., in which the mother sought destruction of several frozen embryos while the father argued he would be deprived his “constitutional . . . rights to procreate.” The court reviewed a written agreement and an alleged oral agreement, ultimately ruling in favor of the mother’s right not to be a parent. The court decided that each party can change their mind, including any agreement (even if written), up until the embryos are either implanted or destroyed. The court emphasized, however, that the father’s “right to procreate” was not truly at issue, given that the father was not infertile and thus could conceivably have a child via other means. The court specifically did not address what would happen if one party wanted to destroy the embryos and the other party was infertile, which would pit one party’s right to be a parent directly against the other party’s right not to be one. 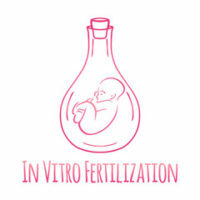 Such a case might present cause for the court to rule differently, so parties engaging in in vitro fertilization should agree ahead of time to the disposition of any unused embryos upon divorce, preferably with the aid of knowledgeable legal help. If you’re in need of compassionate, experienced, and talented legal help with a divorce or custody dispute in New Jersey, contact the Union offices of family law attorney John B. D’Alessandro at 908-964-0102.